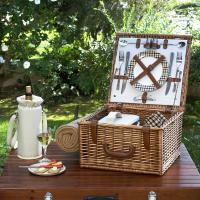 There's nothing quite like going to an outdoor cultural event such as a concert or theater show as you sit on the grass and enjoy a simple meal from a vintage picnic basket. 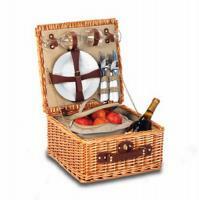 A vintage picnic basket from Picnic World allows you to carry everything you could possibly need for an outdoor meal in the sunshine without leaving anything behind. 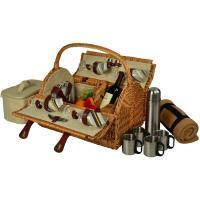 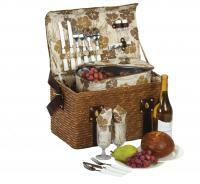 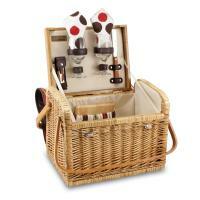 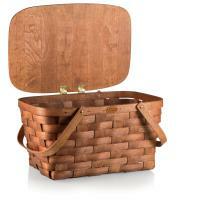 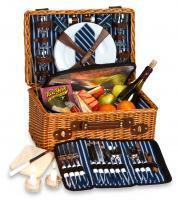 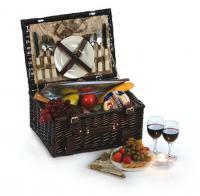 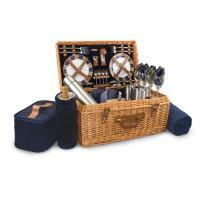 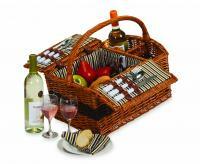 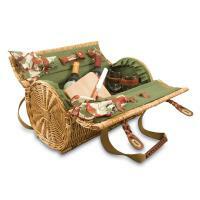 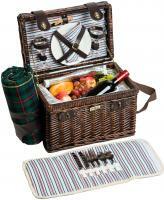 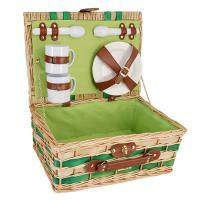 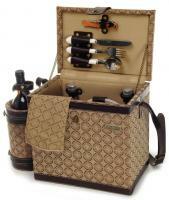 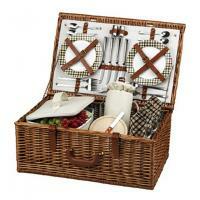 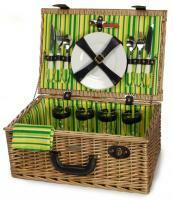 Fully stock the basket with plates, napkins, wine, food and a cutting board, and you'll have a picnic in style. 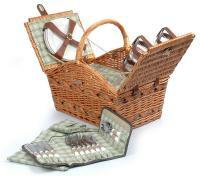 Vintage picnic baskets come in unique designs and patterns to set the mood for your outdoor events and activities. 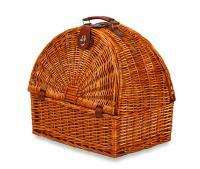 Your beautiful basket will stand out, as will the wonderful meal you have packed inside. All the items inside are safely stowed away in secure holders and straps for delicate glasses, plates, wine bottles and silverware, so that nothing gets broken. 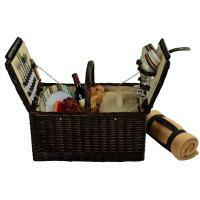 Your food items are kept cold and fresh in the large basket bottom, where containers can be easily packed inside so they don't shift around too much or make it uncomfortable to carry. 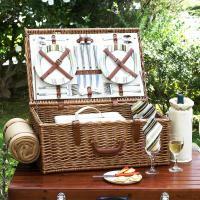 When an ordinary basket just doesn't fit in with a romantic evening out to a concert or show, a vintage picnic basket will match the mood to make an impression. 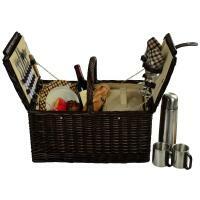 Just imagine taking your significant other to a scenic overlook at the park as you serve wine, crackers and cheese from your vintage picnic basket from Picnic World. 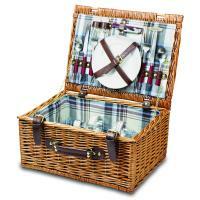 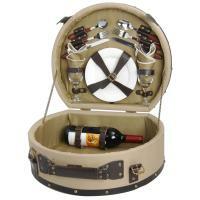 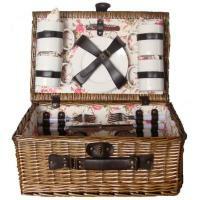 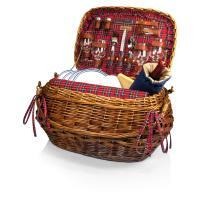 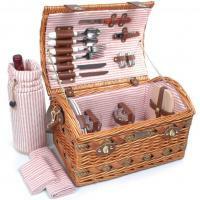 Make your day in the outdoors complete by checking out all the vintage picnic baskets available from Picnic World. 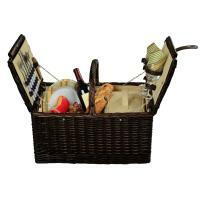 Whether you are going on a camping adventure with the family, spending a relaxing day at the park with a friend, or just going to your favorite spot in the woods to read a book by yourself, you'll have food and refreshments inside your vintage picnic basket.